Following my last article – To Psychic Researcher Professor Erlandur Haraldsson, Sai Baba Sexual Abuses Are Only “Squibbles” – Part 1. 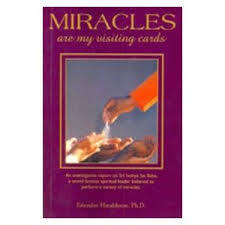 Posted by Barry Pittard on March 26, 2013 – I continue a series of articles which question the integrity – and indeed the courage – of the parapsychology researcher Professor Erlendur Haraldsson, author of ‘Miracles are My Visiting Cards’ (re-printed as ‘Modern Miracles’). Rider Book. Century paperbacks. 1987. ISBN 0712615148, 9780712615143. Impressed by Haraldsson’s seeming authority, thousands of Sathya Sai Baba devotees, regard his book as an important source of evidence for their spiritual master’s greatness. Do authors have a moral responsibility for their works? Do the rest of us have it for our actions, which can produce harm or well-being? Certainly. We all do. Haraldsson’s work is one of those books that, typically, Sai Baba devotees hand around to convince others to come towards Sai Baba or to stay with him. In it are many anecdotes which consistently favor Sai Baba as genuine. 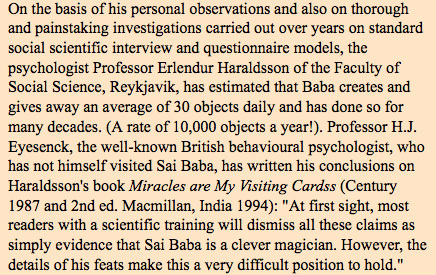 But Haraldsson fails to look for evidence that Sai Baba was a master deceiver. Still more, after all these years, he maintains a silence that disturbs a number of us who care for academic integrity and responsibility, and indeed of any kind. In other types of field investigations, knowledge of magic tricks is important as well. In certain cases, investigators can impose little or no control and must be content with merely watching. The only way a reader can evaluate a report from such a study is to consider the knowledge, background, and expertise of the researcher. One must consider the likelihood that the researcher would catch a trick if it indeed occurred. For instance, Pratt and Keil (1973) observed Nina Kulagina and reported: “We never observed any behavior suggesting that Kulagina was preparing a trick” (p. 387). Haraldsson and Osis (1977) watched Sai Baba and reported: “We were not able to detect any evidence of fraud” (p. 40). In these cases, given other statements made in the reports, it seems quite clear (to a magician) that the observers had no such relevant expertise whatsoever. When scientists report their observations in professional journals (as were these), they imply that they have the technical competence to make the observations and the expertise to evaluate them. Failure to report the lack of such background is deceptive to the reader. In the case of Sai Baba, it can be noted that Christopher (1979, pp. 114–116) described a number of events suggesting trickery. Whatever Haraldsson’s standing among academic parapsychologists, how could they – or investigators more broadly – take his work on Sai Baba seriously? In fact, just as he had, in the 70’s, rebuffed Vice-Chancellor of the University of Bangalore, Professor H. Narasimhaiah, Sai Baba for long refused to coöperate with Haraldsson. And indeed refusal from the ‘Master’ meant that key figures around Sai Baba followed suite. During his tenure as Vice-Chancellor, he constituted and chaired The Committee to Investigate Miracles and Other Verifiable Superstitions, to scientifically investigate claims of miracles and paranormal phenomena. The committee challenged the claims of Sathya Sai Baba, one of the most prominent godmen of India, who was observed to materialization of sacred ash and objects out of thin air, among other reported miracles such as bi location and healing of the sick and wounded. A public controversy then ensued. The committee was also involved in a controversy with Sai Krishna of Pandavapura (a tiny village near ), a mini-Avatar and an alleged protégé of Sathya Sai Baba. See allegations against Sathya Sai Baba. 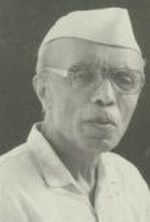 In 1983, he was elected the President of Indian Rationalist Association. Haraldsson’s silence over so many years is singular. Given the videos and mass of other evidence that Sai Baba was a great deceiver, it is a deafening silence. For example, his terribly mistaken prophecies, promises of cure of dire diseases, statements about science and history, and more … Far worsening his case are the worldwide accounts of the Sathya Sai Organization’s grievous lack of accountability and duty of care. There was – and friend of Haraldsson Robert Priddy, like myself, has key knowledge of first-hand reports from individuals and families around the world – serial sexual molestation of boys and young men, the covered up missing persons issue, the water project and apartments’ scandals, the so-called divinely materialized, but almost valueless, stream of trinkets, watches and alleged diamonds (paiste), and the vast horde of gold, silver, precious stones, currency and many other valuable found secreted in his private apartments after his death on 23 April 2012. There is so much else, and Haraldsson’s ignored (in the person of Robert Priddy) not only an old friend’s caring and immensely well-informed and rational accounts but someone who, like himself, has had a long academic career at a leading university. Haraldsson, it seemed clear, was in a state of denial, unable to credit that he needs to acknowledge the deficiency of his work, all the more so after teams from leading, reputed world media had investigated and reported. Robert Priddy and I have long used emails and Skype to keep in touch, including when Haraldsson visited the Priddy’s home in Oslo (see my previous article), I well recall Robert Priddy’s frustration with his old friend. Haraldsson, he told me, continually brushed aside his suggestions that Haraldsson discuss his experiences and opinion of Sai Baba’s negative aspects. For example, a case of which he had heard in the 1970’s from a close Sai Baba servitor, Major Talwasin, about Sai Baba’s homosexual use of minors. It was always clear to me that Priddy wished, sticking only to carefully documented evidence (including, unintentionally, from a wide array of official Sai documentation), to impress on Haraldsson what ravages the deceptions, lies and abuses of faith and trust Sai Baba had caused. Robert told me how he and his wife Reidun were taken aback at the way Haraldsson almost entirely ignored accounts put to him, contemptuously labelling as “fools” those who had donated large amounts to Sai Baba. This was ironic, because, Robert told me, Haraldsson well knew that the Priddy’s, like so many tens of thousands of others, had donated large amounts of money to Sai Baba. Over the decades, accounts have mounted of Sathya Sai Baba’s faking materialization of artifacts. How could Haraldsson persistently ignore these? On the internet, there is a wealth of testimony from many, including outstanding leaders, who, having investigated the allegations, left the Sathya Sai Baba fold, often in deep dejection. Through a number of world-renowned media investigators, and via prominent, careful writers on Sai Baba matters, he could have seen the seriousness of the revelations. But we have no record of any such activity from him. Besides Robert Priddy and myself, I instance Alexandra Nagel (the Netherlands), Serguei Badaev (Russia), Kevin R.D. Shepherd, and the Australian scholar Brian Steel, to whom Haraldsson wrote an email remarkable for its lack of engagement. From Haraldsson we find not the slightest acknowledgement that these shocking accounts exist and have kept on coming decade after decade. I copy below an exchange of emails between Erlendur Harraldsson and Brian Steel, now a retired university teacher in Linguistics and author of learned books and papers. I must say that Steel shows a certain terseness, far removed from anything I have seen in his huge and important opus on Sathya Sai Baba and his cult. It is little wonder, I think, and suggestive of what many academics will feel when one of their fellows displays, frankly, a lack of high professional standards, which lets them sadly down. Well! Hello, Erlandur! Due to your prolonged silence on ssb matters, I had assumed that you were either dead or incapacitated. I am glad that I was mistaken. This contains 8 years of reporting on the ssb controversy (2001-). But I am afraid it will involve you in a lot of reading if you are serious in wanting to update and balance your ssb writing. The longer answer may strike you as less welcome, but for me it is the inevitable consequence of your extraordinary question (request) and the peculiar attitude which it appears to display. If you now wish to make any tangible impact on public opinion, you must also consider all that (and much more) in your research for the new book. By the way, is it meant for a general or an academic audience? If for the latter, I hope you will not repeat the errors of your colleagues Tulasi Srinivas, Smriti Srinivas (who seems to be a devotee) and that PhD (devotee) chap in NZ whose name escapes me for the moment. They have all produced flawed accounts of ssb. Warming to the subject you have raised and mindful of a few sparse email contacts with you a few yrs ago, I really must ask you if you have forgotten about my 2005 and 2007 150 page Bibliography of SSB, in the first part of which I wrote about your work on ssb. It’s all there on my fossilised website! You don’t need to ask me. Just do your research! Given the important critical points about ssb which you raise clearly in the now very out of date ‘Mod Mirs.’, why did you not see fit to air them during the Internet debate? For example: the telltale Krishna episode, and the spurious resurrection claims along with your invaluable evidence of their falseness which, together with Premanand’s evidence, totally discredits them – a fact which devotees airbrush from their distorted view of your book as a vindication of ssb’s divinity. I wrote about this important research of yours in the ‘Compendium’ that you mention and in my other 1998 book (also written as a devotee – but already with a few awkward niggling questions, some of them inspired by sections of your ‘Mod Mirs’! For which, my repeated thanks!). I do hope that even at this very late date, you will be able to redeem your shameful silence over such a long time with a more balanced account of the life (and premature death) of ssb.. I have just remembered a contact in 2009, when, at your request, I removed your name from the (partisan) Wikipedia article on ssb. Activist devotees of ssb had added your name to the list of (Famous) Devotees of ssb. I noticed it and reported it to you. I can see why they did that, but I wonder if you can. This entry was posted on April 10, 2013 at 1:46 pm	and is filed under Uncategorized. 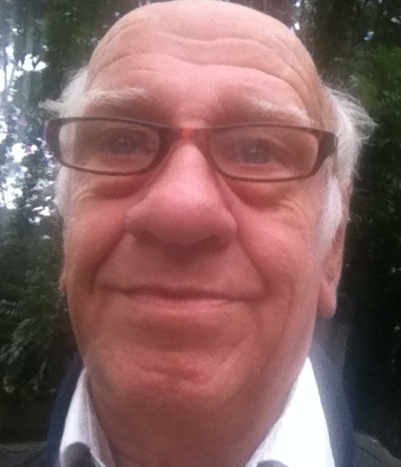 Tagged: Erlendur Haraldsson, parapsychology. You can follow any responses to this entry through the RSS 2.0 feed. You can leave a response, or trackback from your own site. Professor Haraldsson seems to lack any sense of moral and/or academic responsibility, judging by his continuous re-issue of his work on SSB, which he keeps ‘updating’. His deafening silence regarding the true character of Sathya Sai Baba and curt dismissal of very real concerns, voiced by people like Robert, Brian, Kevin and you, is disgraceful, I find. Meanwhile, Haraldsson is keeping himself busy lecturing on Sai Baba all over the world, as can be seen on his website. The subject matter of Sai Baba has gained far more prominence in prof. Haraldsson’s lecture tour since the former’s untimely demise. Up til now, I have tried in vain to get an abstract of one of these lectures: I am quite interested in what he has to say. As I am fluent in German, and he visited Germany, Austria and Switzerland recently, I had hoped to find some link, connection or review of one of his ‘séances’. No luck, yet, though… Haraldsson keeps his cards closely to his chest. Judging by the titles and the venues, he is still ‘harvesting’ the fruits of his lopsided research on Sai Baba, I would dare say. In a telltale lenghty interview (more than 90 minutes) to be found on the internet (see AlternativeFutureRadio.com on YouTube, The Out There Hour, Past Lives, Apparitions and Sai Baba, a talk with professor Erlendur Haraldsson: 1:04:51-1:23:37 and 1:31:20) Haraldsson addresses Sai Baba and his research on him. The podcast was published on July 23, 2012. In this interview Haraldsson starts out by saying this: ‘He (i.e. Sai Baba) was really very remarkable..’ Listen and shiver. Haraldsson seems to be acting much like a brainwashed devotee, dismissing numerous cold, hard facts and avoiding contact with people with proof of the seriousness of sai baba’s crimes. At the same time, he may even believe some of the evils but dismisses them, again, like the brainwashed devotees who say, “Doesn’t matter what he does because he is god.” He should be ashamed of himself!